The first word that comes to my mind the second I press play on the first Perception of Hades record is ‘raw’ and damn, is it ever raw! 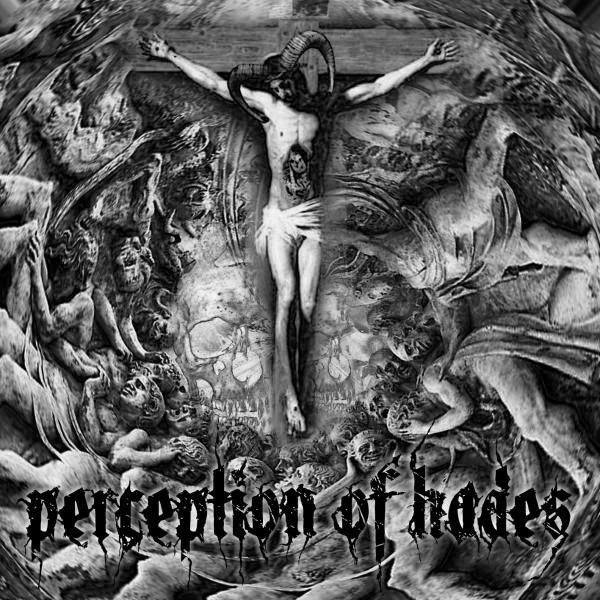 Formed in 2010, Perception of Hades hails from Pennsylvania, USA. Consisting of two members, PoH is undoubtedly full of energy and intensity. Consisting of 8 tracks that are all under 3:30, the album is an extremely quick listen, especially if you dig raw black metal. Once immersed in the album, the band leads you on an unrelenting journey through crushing guitar riffs, pounding drums and quite eerie vocals. Throughout the album, I noticed that the drums sound a bit too robotic for what they should sound like. I could not confirm the use of a drum machine or an actual drum kit for the recording of the album, but if this is a human playing the beats, they are extremely good at never changing their dynamics and getting their hits perfect every single time. That being said, the drums are very distracting throughout all 8 songs. The guitar riffs, although dominating and crushing, get lost behind the wall of sound that everything else creates. It feels like they are there to fill space, which could easily be blamed on a bad mix. There are some decent riffs, but none stick out as often as you would like them to. The vocals are a very neat part of this album. They are chuck-full of reverb and sound like they were recorded in an echo chamber. Although it is quite difficult to make out the lyrics, someone with a sharp ear will be able to distinguish some of them, giving them a deeper look inside the music. When listening to this album, you cannot help but feel dark and disturbed. It evokes some scary emotions within the listener because of the sheer anger built up within the tracks. That being said, the atmosphere is amazing and really gets your mind fully engaged within the music. After only releasing two albums and a couple other smaller releases, Perception of Hades has a lot of room to grow and improve their sound. Their true potential, while still evident, is yet to be reached.